Since 1995, award winning Landscape Architect, Chuck B. Edwards, PLA, ASLA, has been involved in developing creative outdoor spaces for his residential clientele. The overall goal of Chuck’s design philosophy is creating comfortable, and creative outdoor spaces. Chuck works closely with his clients to develop a seamless transition between the indoor and outdoor environments. He excels in 3D design, the art of creating architectural rendering/visualizations of his designs, enabling his clients to see exactly what the project will look like before a shovel hits the ground!!! Chuck also provides 3D models for local architects, interior designers and developers. The Garden Artist, LLC is an award winning landscape design and build company located in Boise, Idaho and serving the greater Treasure Valley, Sun Valley and McCall areas with emphasis on outdoor living, outdoor kitchens, fireplaces and water features. Acclaimed landscape designer, Terry Sims, has practiced the discipline of design for over two decades. 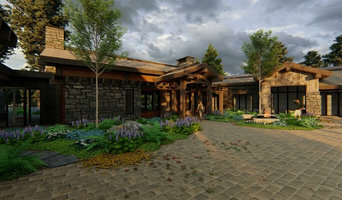 Years of formal study in Landscape Architecture, and Horticulture, as well as Fine Arts, and Psychology, give Terry a unique foundation understanding her clients' needs, and incorporating those needs into great designs. Her plantings are selected to provide the client with four season interest and are carefully placed within the design. Featured Designer in Designer magazine, Designer Showcase, Water Garden News, Finalist in Landscaper of the Year. Roots Landscape Design and Consulting LLC. For over 13 years, Lisa Curtis, owner of Lush Custom Gardening Company, has been specializing in the design, installation and maintenance of garden beds. We also specialize in container plantings, ornamental plantings and plantings with a focus on perennials. Our main design focus is to bring year round color and interest to your garden! The underlying philosophy in all of Ivy Design’s work is to improve the quality of life for all lives affected by our efforts. This necessitates a stewardship of all natural systems, to ensure that whatever type of project is addressed, the intent can be sustained in a healthy fashion through time. Whether the project involves extensive designed development, or preservation of more naturalistic surrounds, this stewardship is essential in arriving at solutions that will ultimately enhance the environment. In support of this philosophy, Ivy Design works to fully assess all natural, cultural, and aesthetic aspects existing on a site, in order to determine the effects of any suggested changes. Do you have a difficult spot in your space? Are areas in your yard not flowing the way you want? Do you need more outdoor places to gather? Are you just out of ideas?? Let me help you organize your yard into a beautiful, cohesive pleasure garden! I'll give you plans that you can implement at your leisure... along with a list of project materials, plant recommendations, and a budget. You take it from there! Terry King founded Terry T. King Landscape Architecture in 2010 with 25 years of industry experience. Terry has targeted his focus on building his firm in Boise and has developed a team to help facilitate his design process specializing in high end residential, commercial and institutional landscape design and construction management services. His team, along with the Team from Clemens Associates allows him to work on a variety of landscape architecture projects that vary from large scale multi-family and commercial projects down to smaller scale residential projects. He is intimately involved with landscape design, planning and construction supervision projects in the Boise Area as well as the Wood River Valley. Aqua Conservation was established in the Sun Valley Idaho area registering with the Idaho Secretary of State in 2004. It is a complete Design\Build Landscape & Irrigation General Contracting firm with over 40 years of projects beginning in the Founders home State of Oregon with work also on the Northern California coast, Tulsa Oklahoma and the Austin Texas Metro area. Aqua Conservation strives to look at the long term goal for the sustainability and health of the landscape to protect our clients investment always. Aqua Conservation has done everything from Arbors to Xeriscaping and still hoping to someday install a Zoo! If you need something done around the lawn .. give us a call at either Dusk or Dawn. 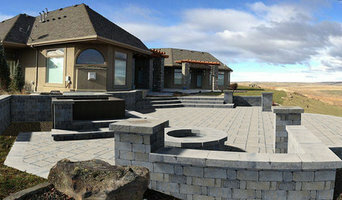 Sprinkler Specialties & Landscaping | Serving Boise, Idaho Sprinkler Specialties Landscaping is an experienced Idaho landscaping contractor and landscape design company serving Boise, Meridian, Eagle, and the Treasure Valley you can depend on. We provide commercial property and residential landscape design, water features, decorative concrete, masonry construction and horticultural softscapes. Whether you're looking for a custom outdoor landscape company, hardscape design build contractor or a softscape backyard makeover our landscaping professionals can transform your outer spaces into outdoor living areas. 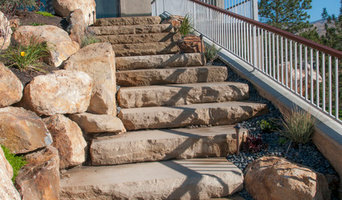 Landscape Design Backyard Makeovers Waterfalls and Ponds Hardscapes - Softscapes Sprinklers Installations Decorative - Rockscapes Remarkable Outdoor Living Spaces | Professional Landscapers No landscaping job you may have is too large or small. We provide customer satisfaction, professionally trained landscapers, and top quality workmanship. We're fully insured and offer landscaping estimates for you to review before making any outdoor makeovers or landscape remodeling decisions. 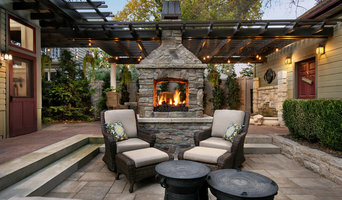 We can provide our experience and expertise to help you create an outdoor living space that you can enjoy for years to come. Sprinkler Specialties and Landscaping is ready to serve you. Designer, Barb Heller creates welcoming outdoor spaces for your comfort and enjoyment with a strong emphasis in integrating hardscapes (the 'bones of a garden') with interesting and diverse plantings using native and water-wise plants for a lush garden attracting Birds and Butterflies. Barb has been designing gardens since 1980. As owner-operator of Alpine Garden Center & Landscaping, a retail nursery and landscape construction business in Ketchum, Idaho, hers was one of the first businesses in the area offering full service landscaping and design. Barb's designs include the clients individual needs, tastes and personalities, providing a creative useful design solution for their garden. This personalized approach transforms the garden into an inviting outdoor space with sitting areas, raised vegetable beds, flagstone paths leading to bird and butterfly gardens, resulting in beautiful, lush gardens using drought-resistant/water-wise plantings. Full-service firm responsible for designing and constructing commercial plazas, corporate campuses and hundreds of residential landscape projects ranging in value from $3000 to over $1 million. Service area includes all of Idaho and parts of Utah and Oregon. A landscape architect will handle all design, supply, construction and administrative elements of your garden or landscaping project. They will take into account your needs, the Boise, ID climate and unique advantages and constraints of the landscape architecture. Typically, work will be based on ecological and environmental considerations, and a garden will be planned not only to look its best but also to facilitate future maintenance and growth so that it continues to flourish. A Boise, ID landscape architect can also design any outdoor buildings that are to be featured in your garden. Everything from design blueprints through to the plants themselves should be provided by your Boise, ID landscape architect. If there is other architectural development taking place on your site, bring the landscape architect in as early as possible. The expertise a landscape architect can apply to understanding your space and the natural environment could be vital to planning your project. Let your Boise, ID landscape architect work closely with your architect, surveyor and any other contractors in order to develop landscape architecture that works in accordance with any other construction. This is important from a design perspective as well as on a practical level – changes to the grading of a landscape and modifications such as drainage can have serious implications on the viability of your land for extensive building and structural works. In order to resolve any planning permission issues, submit all applications for building and landscape architecture together, well ahead of the project. The scope of garden designers, or landscape gardeners, is often more limited to green space projects which will optimise your existing outdoor space rather than altering the landscape architecture as a whole. Whereas landscape architects specialise in the structural aspect of garden planning and building, garden designers in Boise, ID will carry out projects that are of aesthetic and horticultural value. Landscape gardeners will make your garden the best version of itself with features such as walkways, patios, water features, fences and lighting, as well as choosing the right plants, trees and flowers. The practical role of a garden designer may vary by firm – some offer just the plans, requiring a separate contractor, while others fulfil the project in its entirety, from conceptualisation of the landscape gardening to construction. Don’t be put off by the former if you happen to find a good Boise, ID garden designer that you like – he or she will have local industry connections to introduce you to quality, reliable gardening professionals with whom they have existing relationships. Here are some related professionals and vendors to complement the work of landscape architects & garden designers: Landscape Contractors, Garden & Landscape Supplies, Tree Services, Lawn & Sprinklers, Decks, Patios, Sheds & Summerhouses. How do I choose landscape architects or garden designers in Boise, ID? When choosing your Boise, ID garden designer or landscape architect, be sure to research their qualifications and look at examples of their previous work. A portfolio of previous landscape architecture or garden projects is important to ascertain both their credentials as well as their style. Once you have shortlisted or chosen your architect or designer, an on-site meeting is essential so they can see exactly what they’ll be working with. Stay briefed on all plans and developments, both before and during the project as a plan you approved previously may change during the course of the project. Be very clear on your budget – just like plans, costs may alter while work is underway so ensure your professional keeps you informed and does not incur additional expense without approval. If you are open-minded and budget-conscious, consider approaching new graduates keen for experience, who may negotiate a lower rate than more experienced professionals. How long have you been landscape architects or garden designers in Boise, ID? Find a landscape architect or garden designer on Houzz. 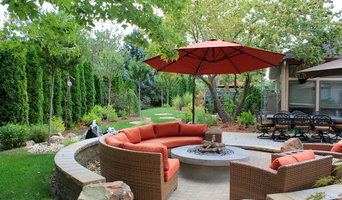 Narrow your search in the Professionals section of the website to Boise, ID landscape gardeners. You can also look through Boise, ID photos to find a garden you like, then contact the garden designers in Boise, ID who worked on it.